The Weekly Tasting is NOT another Wine Club. NO Strings, just superb selections from Certified Sommeliers. 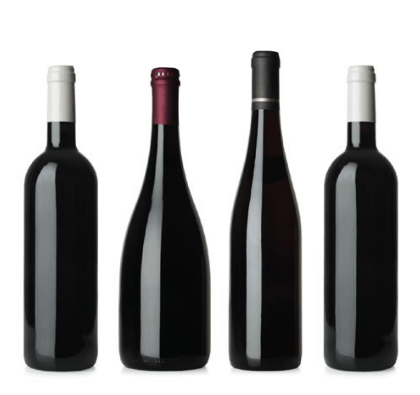 At $69.99, this affordable wine pack would make the perfect gift for any wine lover! WHAT IS THE WEEKLY TASTING? We are all about finding the perfect wine for you! To us variety, quality and balance is everything. We offer high quality wines from all over the world. Each and every wine in our Weekly Tasting packs have been carefully selected by our dedicated Sommeliers, Elizabeth Schneider and Laura Maniec. Believe us this process wasn’t easy, over 75% of the wines tasted were rejected by the Somms – ensuring each pack has their sip of approval. WHAT DO YOU GET WITH EACH TASTING EXPERIENCE? Each Weekly Tasting experience includes a new themed 4 pack of wine for just $69.99+free shipping, hand selected by our experienced Sommeliers. Your tasting experience also includes a 10-minute tasting video, highlighting each wine profile, a food pairing with recipe cards, as well as social sharing capabilities. The wines featured in Weekly Tasting packs will always include 4 different wines, and may include a mix of varietals or regions. overwhelming world of wine into an easily understood (and amusing!) experience. After working in high tech, getting her MBA from UNC-Chapel Hill, and slugging away as a marketer for a huge winery in California, Elizabeth decided to abandon the corporate world and follow her passion of helping normal people who like wine learn more about it through her podcast, live and online seminars, and her upcoming book, Wine For Normal People. She is both a Certified Sommelier with the Court of Master Sommeliers and a Certified Specialist of Wine. Laura Maniec began her career in wine at age 21 as a Sommelier charged with running the wine and spirits program for BR guest for 10 years in various positions across the country. By 29, Laura became one of only 24 women in the world to pass her Master Sommelier Exam. Two years later, Laura started Corkbuzz with the goal of making wine approachable and fun, while keeping the spirit of always learning and exploring.